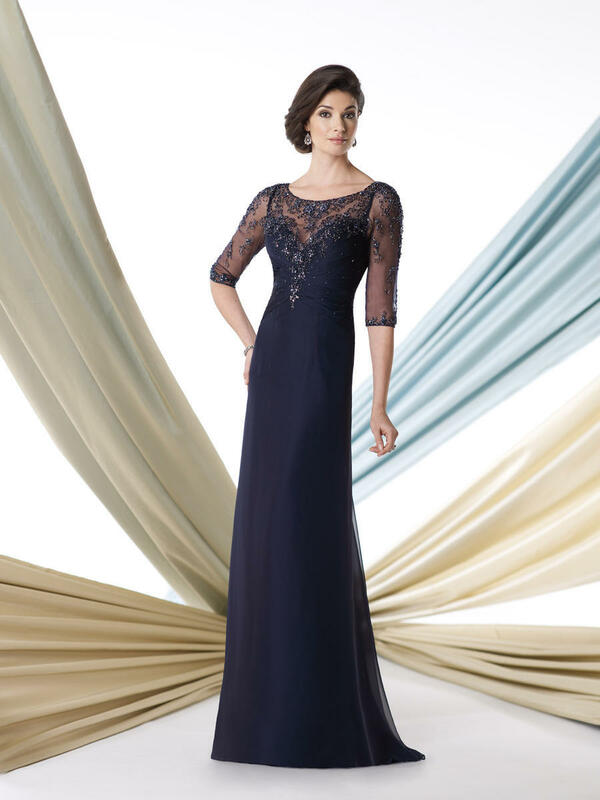 Chiffon A-line dress with hand-beaded illusion elbow-length sleeves, beaded illusion over sweetheart ruched bodice, beaded illusion back with keyhole, sweep train. Sizes: 4 � 20. This style is also available in Plus (Women's) sizes 16W - 26W, select the size with a W only if you wear a Plus size.